The “package label” is the label applicable to a system, i.e., the combination of different components of a system. 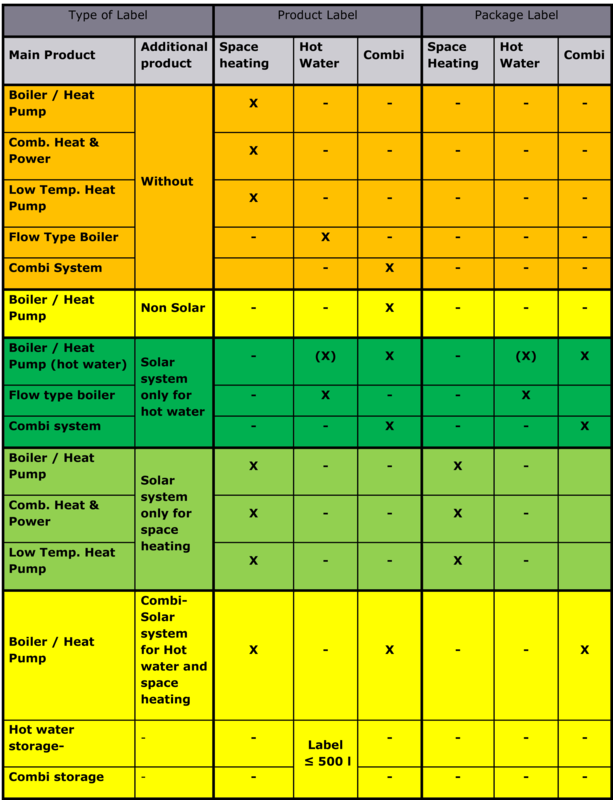 There can be packages of water heaters with solar; space heating equipment and of combination systems (used both for space and water heating). 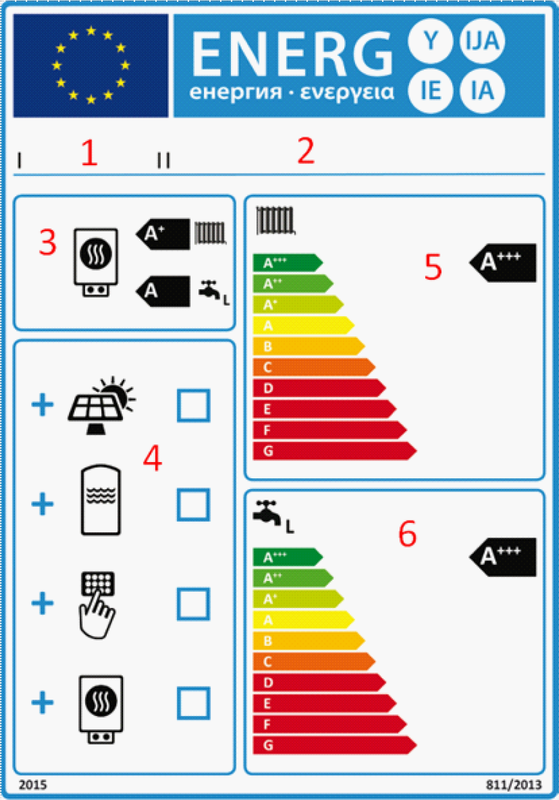 The installers who offer for sales a combination, of a solar thermal system with a conventional boiler from different suppliers will have the obligation to indicate in their commercial proposal (quote, final offer etc…) the energy efficiency and energy efficiency class of the proposed combination. While the product label and preassembled/standard packages, constituted by products from the same manufacturer are provided by the manufacturer, the package label of custom made packages, designed to meet the needs of one specific consumer, has to be calculated and issued by the dealer or installer – whoever makes the sale. Due to this the project LabelPack A+ provides information and access to calculation tools. The energy efficiency can be improved by combining conventional and renewable technologies. Only packages including renewable energy technologies can yield the highest efficiency category of A +++. The Package label contains more and other information than the product labels. by the dealer/installer, if different components are used.